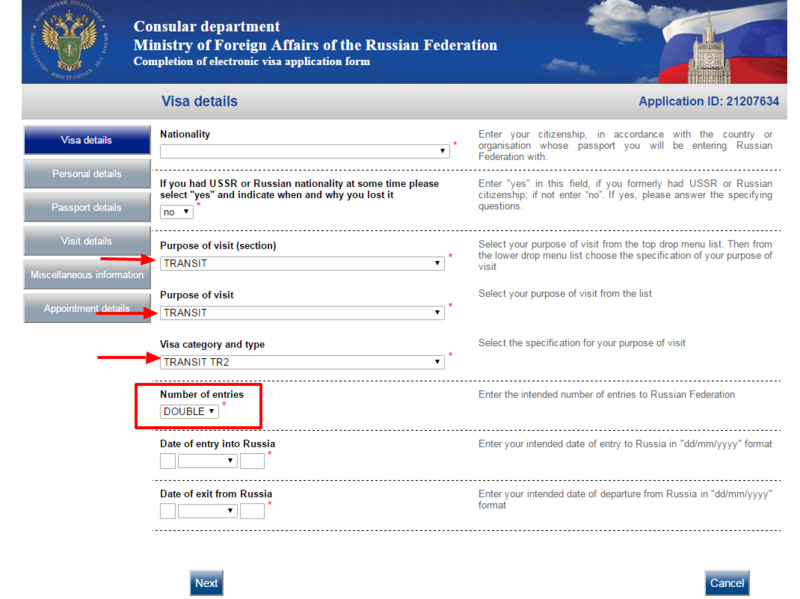 Russian visa invitation. What is it and how to get it? How do I get the invitation to Russia if I’m staying with Airbnb? How do I get the invitation to Russia if I travel on a cruise ship? Where do I apply for a Russian visa if I live abroad? Is it possible to travel to Russia without a visa? 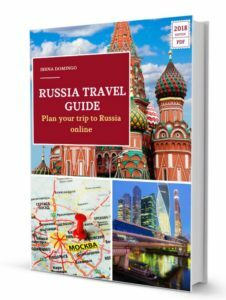 Travelling between Moscow and St. Petersburg: Which is the best way? 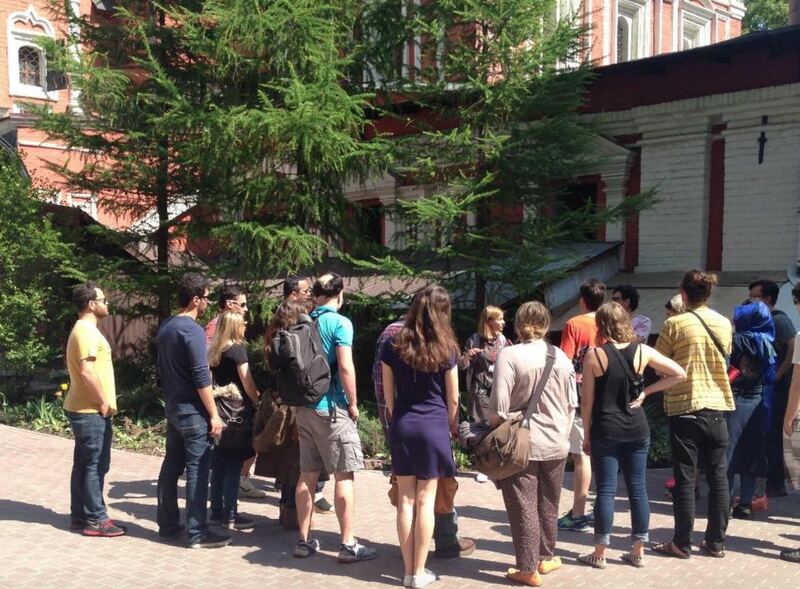 Guided tours in Moscow: by foot, by bicycle, or by tour bus? Star City Moscow, where the cosmonauts live – What to see inside? Next stop: Novosibirsk. Welcome to Siberia! Where is it better to change pounds for rubles? How to send money to Russia: WesternUnion, PayPal or TransferWise? Is it worth going to the center of Moscow on a stopover? How long does it take to get to Red Square since you get off the plane? Which tourist attractions in Moscow are worth seeing in a few hours visit? Do you need a transit visa? How to apply for it? In this article I answer all these questions. 1. Duration of the stopover: Is it worth it to make a getaway to Moscow centre? 1.4. In short: Is it worth visiting Moscow on a flight stopover? 4.2. When is the transit visa necessary? 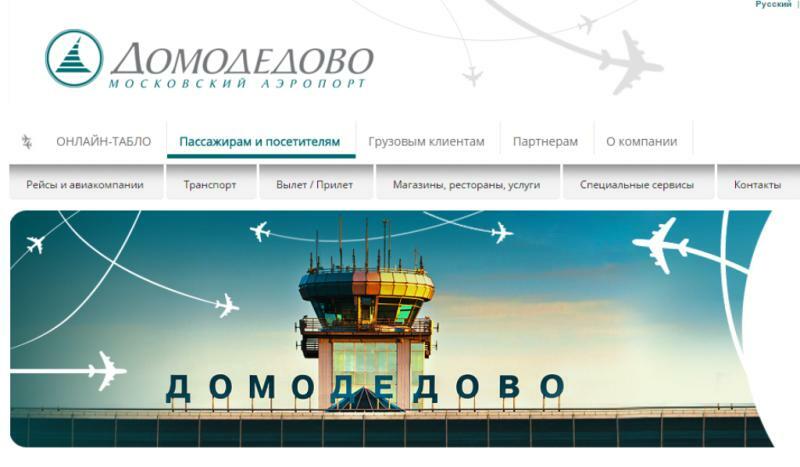 If you are going to take a flight to Japan, Thailand, Vietnam or some other country in the world, and your plane stops at some Moscow airport (Sheremetyevo, Domodedovo or Vnukovo), you are probably wondering if it is worth visiting the city and what to see in the short span of time that you have free while waiting for your next flight. The length between connecting flights: Is it worth to make a getaway to see Moscow? When are you going to need a transit visa and how do you apply for it? 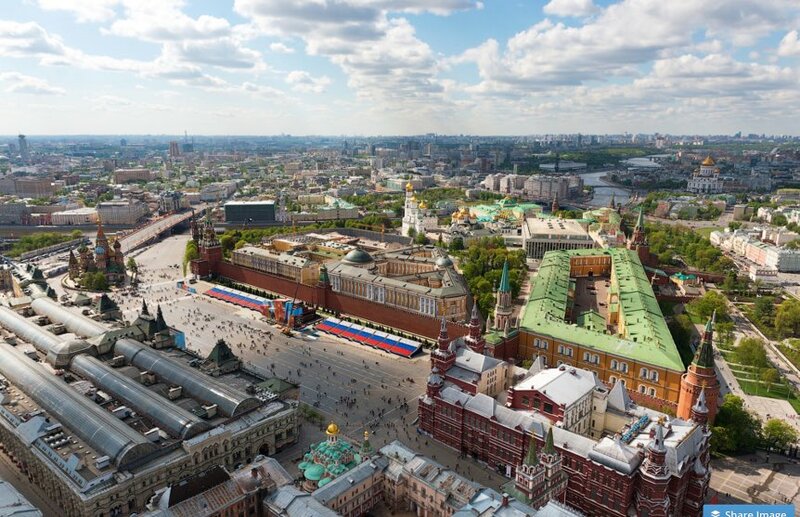 To find out if there is time to visit the city on a flight stopover in Moscow, let’s make a calculation of the time that elapses since you get down the plane at Moscow airport until you get to Red Square. Currency Exchange. It is advisable to exchange your money into rubles prior to your arrival. In Moscow you can also pay in most shops and restaurants with your debit or credit card. 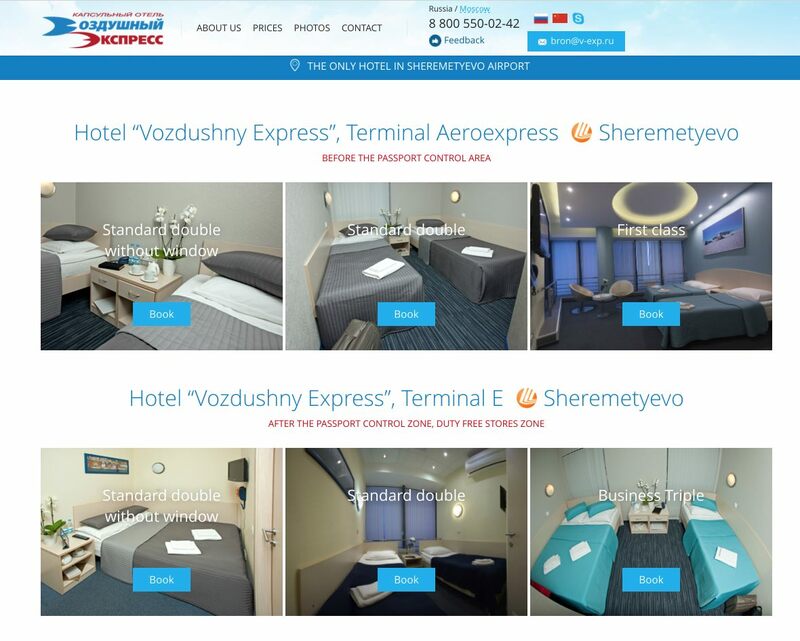 Aeroexpress tickets (the train that takes you from the airport to Moscow) can be purchased previously on the official website. They can also be purchased on Aeroflot website when buying the airline tickets. The schedules can be consulted on their website. If you do a taxi transfer, it is best to reserve it in advance so that the taxi driver is waiting for you as soon as you leave the airport. Buy tickets to museums in advance. If you are visiting the Kremlin museums, you can buy the tickets in advance on the Kremlin’s official website. Learn a bit about the Cyrillic alphabet. It is highly recommended for reading the train and Metro signs easily and avoid mistakes. It is much easier than it seems. Let’s see how long it takes to get to Red Square since you get off the plane. As soon as you get off the plane, the first control you pass is the passport control in the immigration counters booths enabled for that purpose. There are two different lines, one for Russians and one for foreigners. The passport control procedures, if there are not many arrival flights at the same time, can take no more than 15 or 30 minutes (even less). If there are more arrivals and many people (usually in summer) it is not uncommon that you have to wait an hour or more. For example, if your plane lands at 7:00 a.m., at 7:30 a.m. you will have passed the passport control (if there are not many lines). 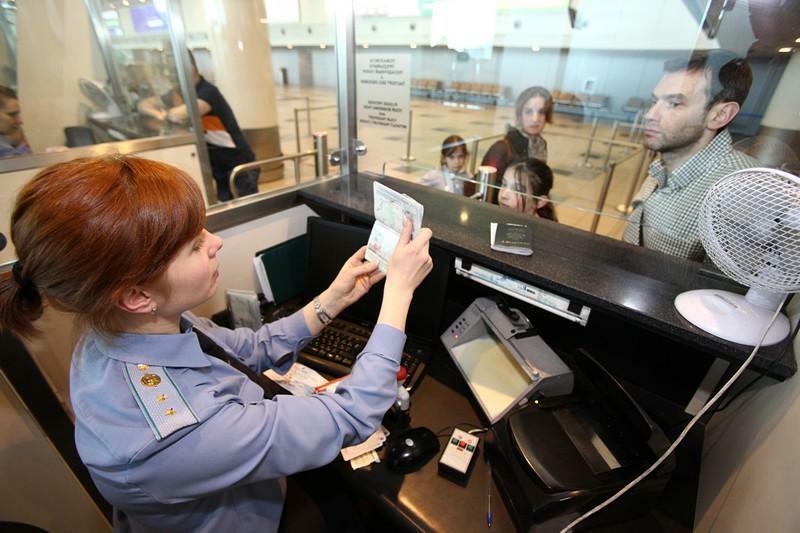 More information: Russian airports: immigration card and customs formalities. Aeroexpress train. To get to the Aeroexpress train station, buy the ticket (if you have not bought it before) and getting on the train can take you at least 15 minutes. The Aeroexpress leaves every 30 minutes and is the best way to get to the city center avoiding traffic jams. 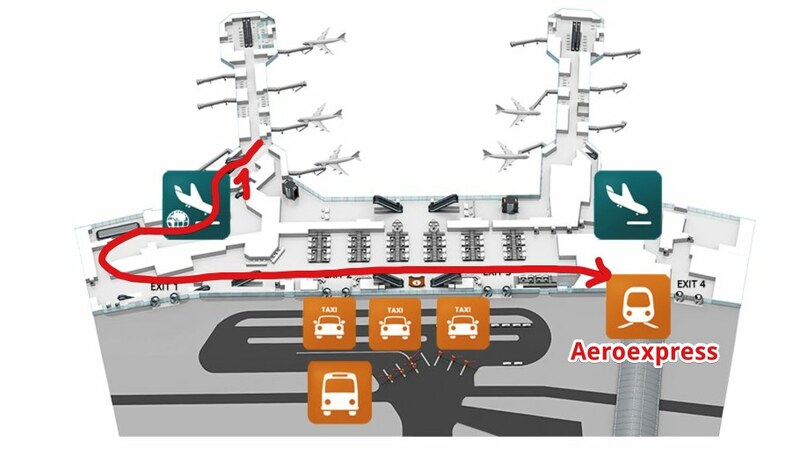 Example: if at 7:30 you have already passed the passport control, you may have time to take the Aeroexpress that leaves at 8:00. If you delay a little, you will have to take the 8:30, since they leave with a frequency of 30 minutes. Taking a cab. If you have booked in advance, the taxi driver will be waiting for you outside the arrivals hall. The taxi is the best option if you arrive at dawn and the Aeroexpress is not yet running. During the day you can also take a taxi, but try to avoid the rush-hour traffic in Moscow in which traffic jams occur, mainly from Monday to Friday from 8:00 a.m. to 9:00 a.m. and from 6:00 p.m. to 7:00 p.m. According to Tom Tom’s traffic index). During the day, the Aeroexpress is the best way to get to the city center since the arrival times are predictable, though keep in mind that to get to the Red Square you have to do a transfer to the Metro. Between Sheremetyevo and Moscow (Belorussky station): 35 minutes. Between Domodedovo and Moscow (Paveletsky station): 45 minutes. Between Vnukovo and Moscow (Kievsky station): 35 minutes. 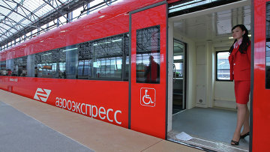 In the final Aeroexpress station you have to do a transfer in the Metro to reach the center of Moscow. The metro journey takes only 5 minutes (2 stops) to the Teatralnaya station (the closest to Red Square), but you have to consider that you have to buy the ticket, take the train, exit the Metro and walk around 5 minutes to Red Square. In total, it would take about 15-20 minutes. More information: How to go from the airport to the center of Moscow or the Red Square. In short, doing the journey to Red Square using the Aeroexpress and the Metro can take you at least 1 hour. Example 1: If you took the Aeroexpress at 8:00, around 9:00 to 9:15 you could be at the Red Square. If you took the one at 8:30, you’ll arrive at 9:30-9: 45. All this assuming that everything went well, without delays and without mistakes. Example 2: If you took a taxi outside peak hours or on weekends, it will take between an hour and an hour and a half to arrive. In busy hours it may be double. From the time the plane lands until you reach Red Square, it can take you at least 2 hours (and a similar time for the return from Moscow to the airport). Also, note that is convenient to be at least with about 60-90 minutes in advance in the airport to take the next plane. Thus in total you need around 5 hours. So, if your stopover is less than 5 hours, I don’t recommend visiting the city. In my opinion, it is worth visiting the city when the stopover is at least 8 hours and you have time to see Red Square and its surroundings. Please note that you will need to apply for a visa to go to the city center (as explained in section 4). If your flight stopover is long enough to visit the city, in this section I explain what to see in a few hours. Everything will depend on the time you have available for tourism and your preferences. The visit can be done in two ways: on your own or through a guided tour. Basil’s Cathedral. You can see it from the outside or, even better yet, pay the entrance fee of 350 rubles and visit it by the interior. Buying the ticket and making the visit can take 1 hour. It opens every day and in summer and it can be visited from 10:00 to 19:00 hours. More information: St. Basil’s Cathedral in Moscow. Visits, tickets and schedules. Lenin’s Mausoleum. If there are not many lines, you can visit the Mausoleum in about 15-30 minutes. The visit is free, though keep in mind that it is open on Tuesdays, Wednesdays, Thursdays and Saturdays, from 10:00 a.m. to 1:00 p.m., as long as it is not a holiday. More information: The Free Visit to the Lenin Mausoleum in Moscow. The Kremlin. You can see it on the outside, though if you have a long stopover, you can take the opportunity to visit the main museum of Russia, the Armory (1-2 hours visit), as well as Cathedral Square (1-2 hours). Closed on Thursdays. More information: What is the Kremlin and how to buy tickets online. GUM Galleries. The shopping center in the heart of Red Square that is worth visiting. You can make purchases, as well as eat at one of the self-services restaurants on the third floor in a very economical and fast way. Opens every day. More information: Shopping in Moscow: from GUM to Izmailovo market. The Church of Kazan. The Russian orthodox church located at the northeast corner of Red Square in Moscow. It can be visited in 10-15 minutes. Free visit. Opens every day. State Museum of History (exteriors). One of the buildings that attracts the most tourists. It displays prehistoric relics that occupied the territory of the present Russia, to works of art of incalculable value acquired by the members of the Romanov dynasty. It opens daily and admission fee is 350 rubles. Alexander Gardens and the Tomb of the Unknown Soldier. Next to the Red Square you can find Alexander’s gardens, one of the first public parks in Moscow, and in the main entrance you can find the Tomb of the Unknown Soldier, a monument dedicated to Soviet soldiers fallen in World War II, in which the eternal flame burns, guarded by the Honor Guard of the Presidential Regiment and the change of guard is realized every hour. Access to Alexander’s Gardens is free. The visit can be done in around 15 minutes. Moscow Metro: Since you will have little time in Moscow, you can visit the Ploshchad Revolyutsii station, in the Revolution Square, next to Red Square. It is connected through an underground corridor with Teatralnaya station, so if you come by Metro from the airport, you will have the opportunity to visit it (15 minutes). 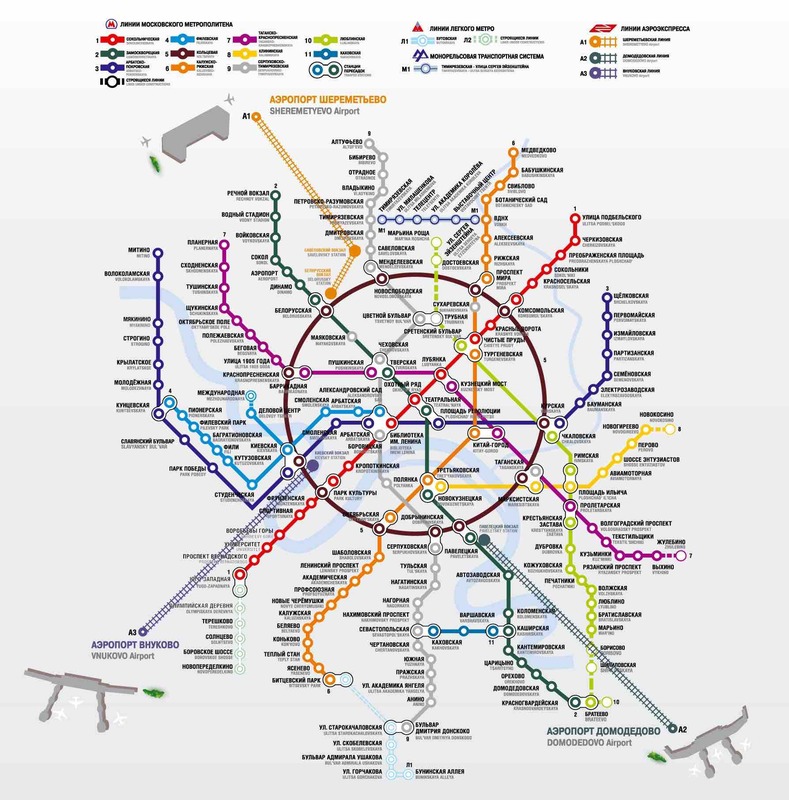 More information: How to use the Moscow Metro and what stations to visit. Bolshoi Theater and Tverskaya Street. You can also stroll through the exteriors of the Bolshoi Theater and Tverskaya Street, Moscow’s best known street, full of advertisements, luxurious shops and restaurants. At number 14 of this street you can find the Eliseevsky gastronomic shop, with luxurious interiors and good place to buy gifts like vodka, caviar or other typical Russian products (30 minutes by foot). The Cathedral of Christ the Savior. If you have more time, it is well worth it to visit the Cathedral of Christ the Savior. It is a 25 minute walk from Red Square. The visit is free and it can be done quickly in about 15 minutes. Arbat Street. If you still have more time, from the Cathedral of Christ the Savior to the beginning of Arbat Street, there is a 15 minute walk. Arbat Street is a very commercial and tourist pedestrian street of around 1 kilometer long and is located in the historical center of Moscow and surrounded by historical buildings. Another alternative is to take a guided tour to the center of Moscow with a company; there are many in the city, even some make free tours that are financed with tips. Some of these companies also take care of picking you up at the airport on your arrival, accompany you on your trip to the city center (either in Aeroexpress or taxi), show you the city depending on the hours you have and accompany you to the airport so that you won’t miss the flight. More information: Guided tours of Moscow: Walking, cycling, boat, taxi or tourist bus? If your flight schedule in Moscow is short or takes place at night time, then the best option is to stay at the airport. You can choose to rest in the waiting area of ​​the airport, in the business lounge area of ​​the airport, or spend the night in an airport hotel. If the stopover at the airport is short, you can spend hours in the waiting airport lounge. 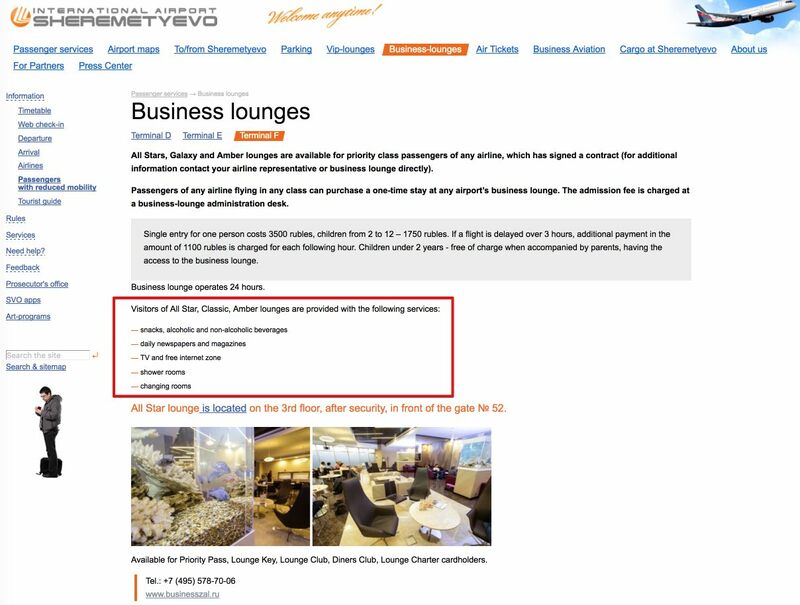 In the official airport websites you can consult the services they offer: restaurants, shops, Wi-Fi availability, etc. Vozdushny Express. Hotel located at the airport itself. Novotel Moscow Sheremetyevo Airport. Located near the airport. To be able to spend the night in it without a visa you will be escorted to it when you go and when you return. In addition, you may not be able to access any of the hotel’s common facilities. 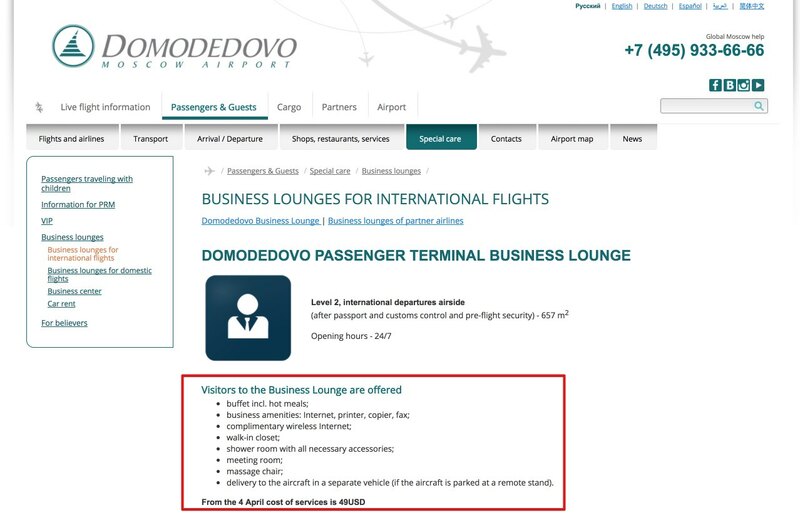 In the rest of Moscow airports, like Domodedovo, if you want to spend the night in a nearby hotel, you must apply for a visa, since there are no hotels that allow overnight stay without a visa. Travelers who have paid their flight tickets, whose stopover in Moscow is less than 24 hours and that don’t have to leave the international airport area to take the next flight, don’t need to apply for a transit visa. However, if the destination is Belarus or Kazakhstan with transit at some Russian airport (such as Moscow), then a transit visa is required, since flights between these countries are considered domestic flights. In any case, you don’t need to apply for a visa if you belong to one of the 40 nationalities that don’t need a visa to travel to Russia. In flight connections that involve leaving the international airport area, since your next flight leaves from another airport. On stopovers that last longer than 24 hours. If you want to leave the airport to visit the city, even if only for a few minutes. In any case, if you are going to make a flight stopover in Moscow, I recommend contacting your flight company to know if you will need a transit visa or not. A transit visa is a type of visa issued to foreigners who travel to another country but have to pass through Russia. If you travel to a third country via Russia by train or car, the transit visa can be up to 10 days, but if you travel by plane it is issued for a maximum of 3 days (72 hours). The transit visa can be single or double entry. Air tickets purchased for entry and departure from the Russian Federation. Visa of the final destination country (e.g. : China, India or Japan). It is not required in the event that the applicant’s nationality allows entry into the country of final destination without a visa. In the application form you must indicate that it is an application for a transit visa, which can be single or double entry. Thus, it is possible that the plane return trip also stops in Moscow (in this case you must indicate so in the visa application as a ‘double entry’ case). The rest of the requirements are the same as in the case of the tourist visa: passport, photography, fees payment, etc. You can find it explained in detail in this article: How to obtain a Russian Visa in an easy and cost-effective way. I hope this article is useful for your flight stopover in Moscow. Below you can leave your comment or tell us your experience. Hello, my name is Irena. I was born in Russia in 1974 during the Soviet era. I worked as a Russian teacher and as a translator and interpreter for the past 15 years. One of my main hobbies is traveling. Therefore, through this blog I want to help those people who want to travel to Russia.